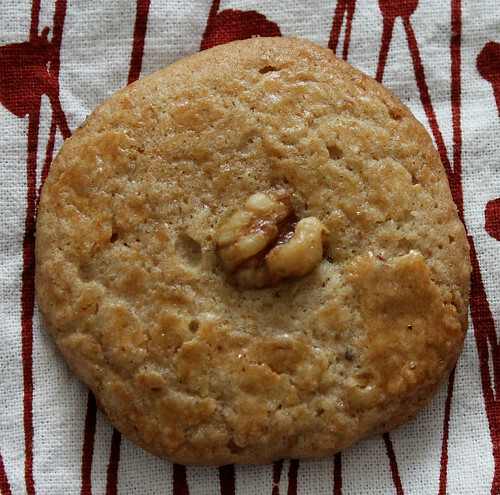 The Chinese Walnut Cookie I made last year were such a hit with the family that I brought them back. I love the fact that they’re light and crispy and melt-in-your-mouth all at once, with the right amount of nuttiness and sweetness. My dough was a little wetter than usual, which is why the cookies spread a little more this time, but they were still as delicious. Black sesames also made a return to my cookie plate, but rather than the shortbreads from last year, I made Black Sesame Macarons. 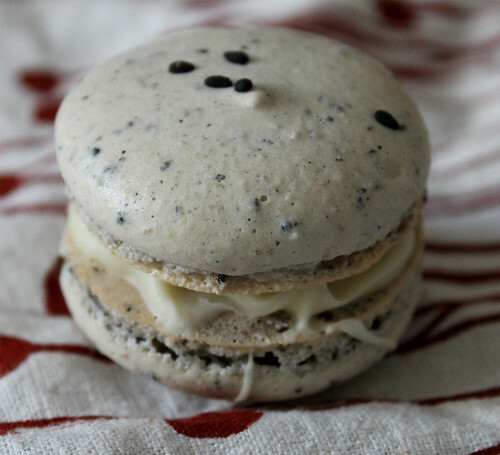 Ground black sesame seeds were added to my usual macaron recipe, and then filled with a white chocolate ganache and some of my mom’s homemade red bean paste. Lastly, I saw a recipe for Salted Egg Yolk cookies some time last year and had it bookmarked specifically for Chinese New Year. It kind of sounds wacky at first but considering my love for all things sweet and salty, it kind of makes sense. And the cookies aren’t heavily flavoured with the salty eggs. Rather, you only get a hint of the salty egg yolk coming through in each bite. 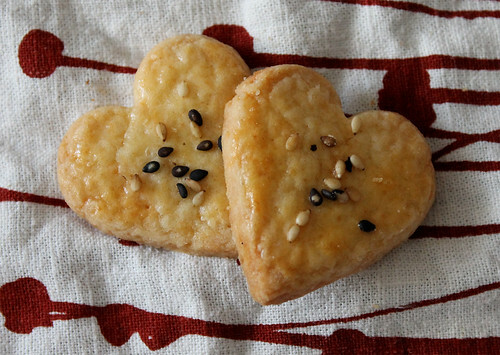 What you do get is an incredibly rich cookie that’s super flaky, and oh-so-delicious. Give these a try, because you’ll be in for a pleasant surprise. 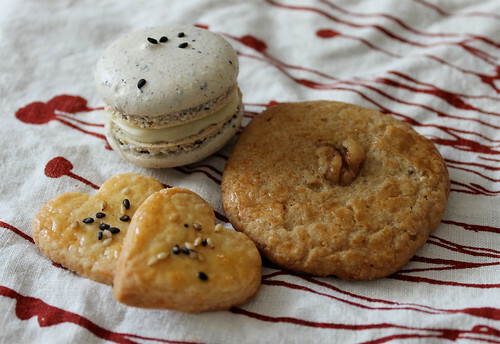 You can find the recipe for Salted Egg Yolk Cookies over at Pig Pig's Corner. Wishing everyone a happy, healthy, prosperous and delicious 2014!